ABOUT POOH'S PALACE: A fully-equipped 5-bedroom, 5-bathroom luxury vacation villa. 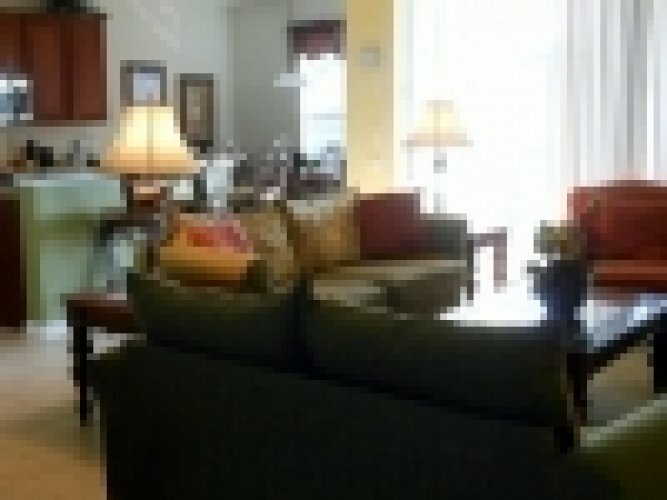 The home is located in the newest section of Windsor Hills Community – Windsor Hills Reserve. Pooh’s Palace is situated on a hill – no one overlooks our yard or pool. The eastern facing lanai, pool and spa get full sun most of the day and is a relaxing place to drink your first cup of coffee while watching the hot air balloons and the sunrise. On a clear night, the Magic Kingdom fireworks are visible from the backyard (to the north) . One of the nicest features of “Pooh’s Palace” is it’s location within Windsor Hills Community. 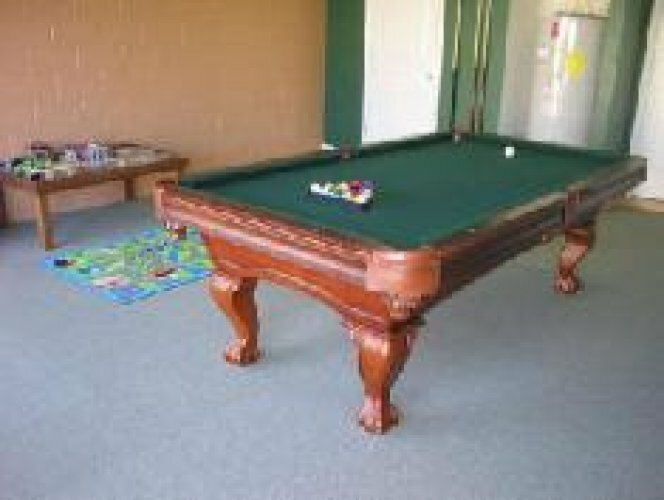 Located about 1/2 mile from the Windsor Hills Clubhouse, “Pooh’s Palace” is in a quiet area that is not burdened with a lot of traffic and noise. In front of “Pooh’s Palace”, there is a huge “green area” or recreation area, including a small playground right outside your door! “Pooh’s Palace” offers everything you will want to make your Disney Vacation truly magical! We provide books, games, DVDs, and toys throughout the home, luxury linens, pool towels, baby items, a BBQ Grill, and even tote bags for use at the theme parks or big pool! Each bedroom has a ceiling fan and TV/DVD. There is a 55 inch HDTV in the family room with a DVD player and PS2 game system. There are even about 20 PS2 games (with extra controllers) for kids of all ages! 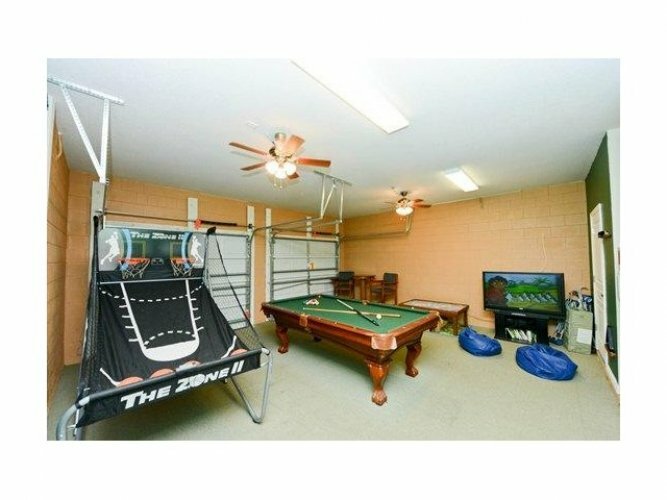 The game room in the garage includes a full-sized professional pool table, a wall mounted TV, and a wooden train set for our younger vacationers! The gourmet kitchen features granite counter tops and stainless appliances, and is truly equipped with everything you need or want to fix a quick snack or a large meal for the entire family. 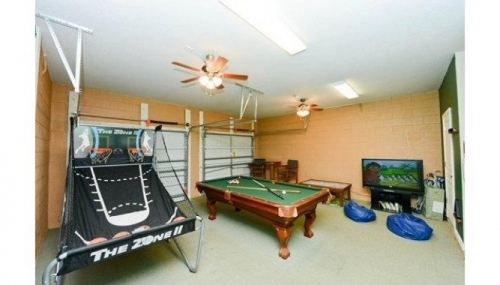 It is our intent that your family can truly LIVE in “Pooh’s Palace” and call it your home away from home! We try to keep many “basics” in the kitchen to help you save a little money – items you may are likely to find in the “Pooh’s Palace” kitchen include spices, coffee, tea, coffee filters, salt and pepper, napkins and cleaning supplies! 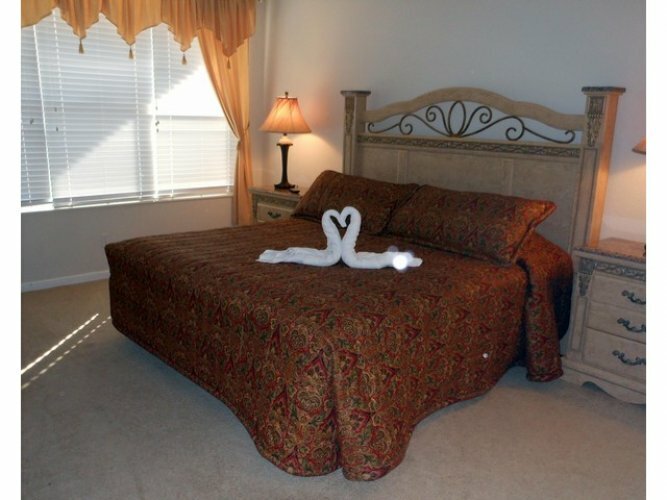 All of the bedrooms in “Pooh’s Palace” are tastefully decorated and furnished to the highest standard. “Pooh’s Palace” sleeps 12 guests in 2 king sized beds, 1 queen bed, 2 rooms each with 2 twin beds, and a queen pull-out sleeper sofa in the family room. One of the neatest rooms in “Pooh’s Palace” is the baseball themed kid’s room. This room has 2 twin beds, and is great for kids who have outgrown the desire to stay in a Princess or Mickey Mouse room! There are even baseball movies in the room to celebrate America’s favorite past time! Our second themed kid’s bedroom is a Winnie the Pooh room. The room includes 2 twin beds, adorable Winnie the Pooh comforters, Winnie the Pooh books, and even “Pooh” movies. Many adults have admitted that they chose this room while staying in “Pooh’s Palace”! Late check-out is available if prearranged. We can also provide children's equipment including a high chair, crib/cot, safety gates, a stroller etc. if prearranged. 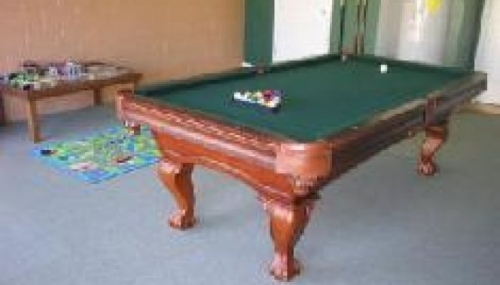 Pool heat is included in the rental fee and stays over 7 days receive free cleaning! ABOUT THE RESORT: Windsor Hills Community is located 1 mile from grocery stores and other shopping. The community features a heated double-Olympic size pool, complete with a water slide, fountains, and private adult jacuzzi spa. The 10,000 square foot clubhouse offers a full fitness facility, convenience store, arcade game room, 70 seat private movie theater, internet cafe serving a lunch menu, full game/arcade room, ATM, Redbox, and office with a fax machine. Throughout the Windsor Hills Community grounds are tennis courts, picnic areas, basketball courts, jogging trails, and themed playgrounds. 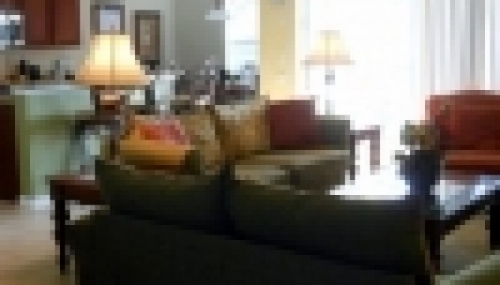 This property has 1 Rollaway(s), 1 Pull Out Sofa(s), 2 King(s), 4 Twin(s), 1 Queen(s).